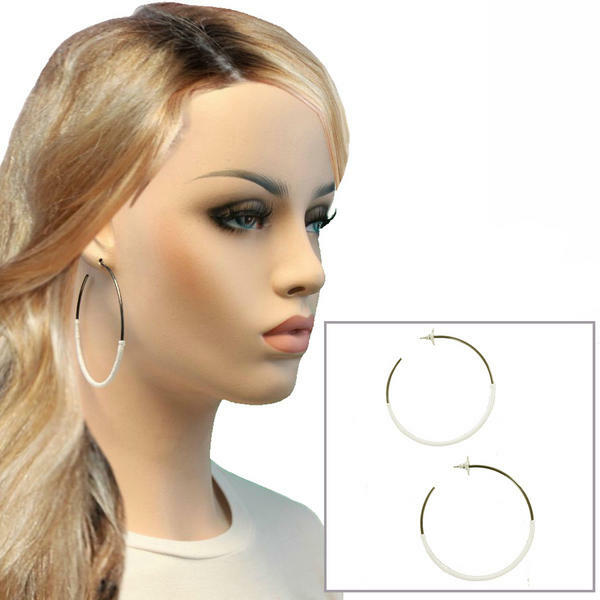 Ky & Co White String Wrap Gunmetal Tone Pierced Hoop Earrings Large USA Made 2 5/8"
These large post and clutch gunmetal large pierced hoop earrings are wrapped in white string for a modern colorblock look. These pierced gun metal gray tone hoop earrings are partially wrapped in white string and have a post and clutch back. Updated hoop earring look!